Vandalur, GST, Chennai. Behind Tata Value homes. How Far is SM MGM Nagar? 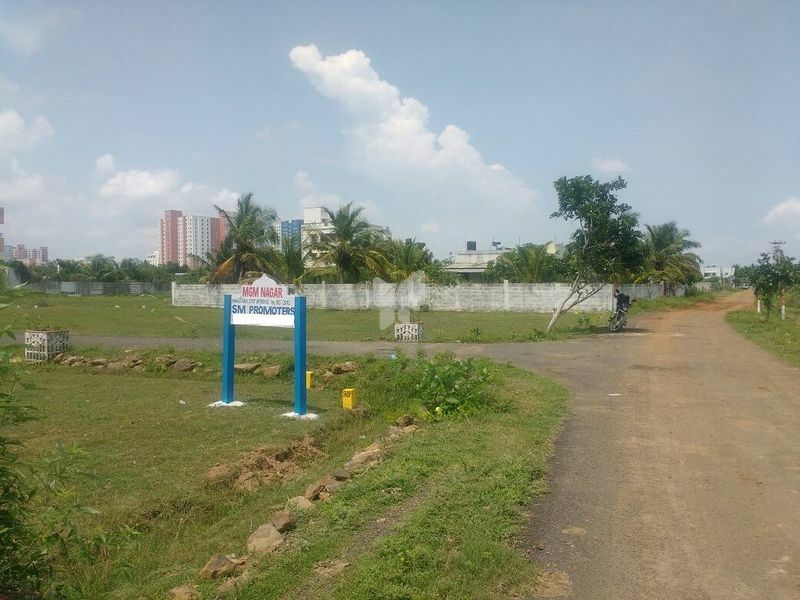 MGM NAGAR MAMBAKKAM is a serene layout sitting pretty on lush green of land in Mambakkam Village , 8 kms from Vandalur. The site is less than 1 kms from Vandalur to Kelambakkam Highway. Very Colse Proximately to Bus stop. It is surrounded By Mass Residential Project Like Tata Value Housing and Individual Houses. Ready For Immediate construction , Absolutely reasonable price,Clear Title, Well laid out plots, 1.5 feet height black top roads, Fully fenced, Dig draind Tree Guards with tree, High Appreciation , Bank Loan Available. 8kms from Vandalur zoo, 10 km kelambakkam, 11 km Tambaram, 11 km Medavakkam, 1 km VIT University , 2.5 km Tagore Engg &Medical Collage, 2.5 km velammal Vidhyashram, 2.5 km Delhi public school, 8 km Siruseri IT park, 15 km Elcot IT Park, 8 km Chettinad Health City, 14 km Global Hospital. SM PROMOTERS (Srinivasa Maruthi Promoters), a leading Real Estate Company in Chennai, offers the most desired "DTCP Approved" & “CMDA Approved” residential plots at ideal locations for your dream house in a peaceful atmosphere in highly recognizable suburbs of South Chennai, at affordable costs.In recent years, the Government of Tamilnadu is focusing on the infrastructure of Chennai and the surrounding suburbs. Adding to Market growth, South Chennai suburbs are experiencing heightened activity as multi crore companies are changing the skyline.Chennai city has grown and expanded, embracing what was once known as the outskirts, Vandalur,Guduvanchery, Singaperumal Koil , Chengalpattu, Walajabad and Oragadam, now becoming the hot hubs of Chennai with multi-national companies investing in crores.